Russ is streaming live. Just click below to be a part of history and donate to the Red Cross Disaster Relief. 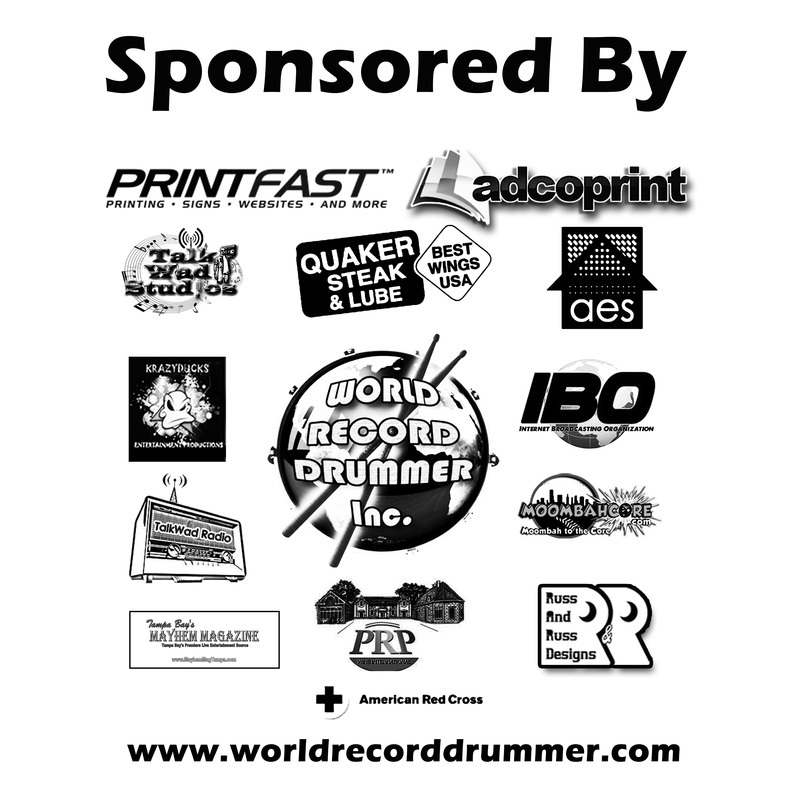 Please help Russ and World Record Drummer Inc. Raise these desperately needed funds. Thank You in advance. Starting on September 25th, 2013, Russ Prager will be going for his third GUINNISS WORLD RECORD Quaker Steak & Lube in Clearwater, Florida, to raise as much money as he can for Disaster Relief. So, won't you please come and show your support for and help make this a goal worth acheiving.